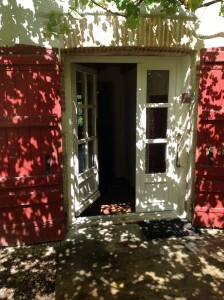 Artists and guests are housed next door to Moulin à Nef in the Maison Vieilhescaze, named for the previous owner, a theater producer. 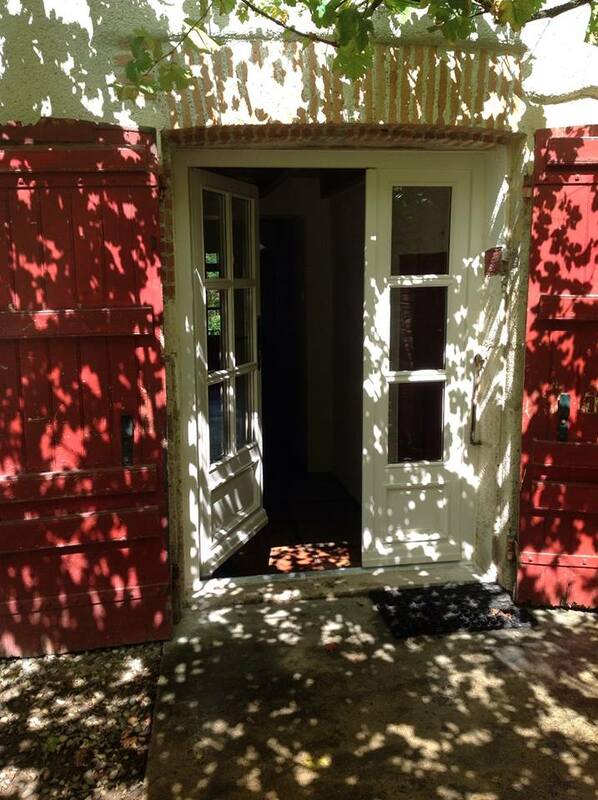 Thanks to a very generous benefactor, the VCCA has been able to complete the purchase of the Maison Vieilhescaze from the City of Auvillar. It’s much appreciated for its ancient charm and massive wood beams. The ground floor has a great room with comfortable couches facing the fireplace (not in use), and a dining area normally for 8, but which has seated up to 20. The adjacent kitchen is well-equipped and used by the artists to prepare their meals. There is one bedroom with ensuite off the great room. New in 2015 is a powder room with laundry facilities just off the dining area. 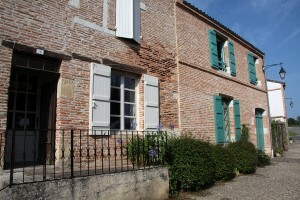 The second floor (called the first floor in France) has three large bedrooms and two bathrooms. Access to the second floor is by an exterior staircase to the mezzanine, a lovely covered area looking out on the back garden. 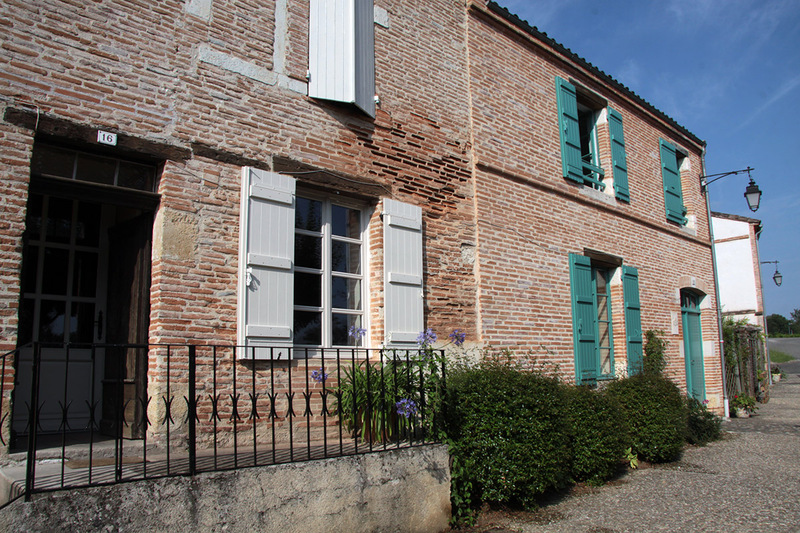 This historic gite in the port area of Auvillar provides a very convenient accommodation for artists and writers and allows them to make full use of day and evening work times in Le Cebo, the adjacent studio building.